City officials and business leaders say they're concerned about low oil prices, but optimistic about the future of Grande Prairie's economy. Taking the Pulse is a series from CBC News examining how Albertans are coping with today's economic conditions. Lucrative jobs in Alberta's oilsands may have dried up, but in Grande Prairie, signs of economic opportunity abound. 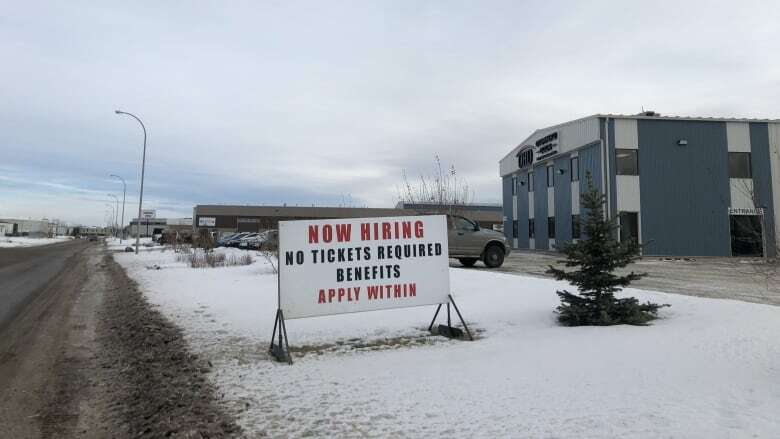 Spend time in the city 460 kilometres northwest of Edmonton and you'll see many "We're Hiring" signs outside businesses and hear jobs advertised on the radio. Statistics Canada doesn't track unemployment rates for Grande Prairie, but last month, the area that includes Grande Prairie and Peace River had an unemployment rate of just 4.6 per cent, down from 5.3 per cent in October. The region's unemployment rate was the second-lowest in Alberta, after Lethbridge-Medicine Hat. Alberta's overall unemployment rate was 6.3 per cent in November. City officials and business leaders say they're concerned about low oil prices but optimistic about the future of Grande Prairie's economy. "We've not seen a lot of signals that things are going to slow down significantly," said Brian Glavin, the city's deputy director of economic development. Grande Prairie, population 69,000, has a diversified economy with strong agriculture and forestry sectors. The city also capitalizes on large natural gas deposits nearby. A proposed $2-billion plant to make methanol from raw natural gas would generate 1,000 construction jobs, according to its proponent. The recent approval of a $40-billion liquefied natural gas project in northeastern B.C. is also good news for the city, which expects to see a significant amount of economic activity generated by the LNG Canada project. Natural gas for that LNG project will be liquefied in Kitimat on the B.C. coast but it will come by pipeline from Dawson Creek, about a 90-minute drive from Grande Prairie. Mark Evans, communications director for Grande Prairie Regional College said the slowing of the energy industry has reduced the school's need to provide trades programming, but employers and industry partners are asking for professional drivers, teachers, health care professionals, office administrators and graduates from the arts and sciences. According to a recent city report, Grande Prairie serves as a trading hub for a vast geographic area that stretches beyond northwestern Alberta and reaches more than 280,000 people. "It's not uncommon to go to a Costco or Walmart on a Saturday or Sunday and see a number of Northwest Territories or even occasionally Yukon plates," Glavin said. When families come to the city for medical appointments or sporting events, they make a weekend of the trip, staying in hotels and stocking up on groceries and other goods, he said. The city expects its retail sector to expand. The latest economic profile from the City of Grande Prairie says the retail market has a residual demand for 958,000 square feet of new stores. With construction on the new regional hospital slated to start up again in early 2019, Glavin said planners, health care workers and business leaders have been meeting to make sure demands for nearby housing, transportation, hotels and food services are met. Because Grande Prairie residents are so far away from other major centres — the journey to Edmonton takes more than four hours by car — many have started their own businesses out of necessity. 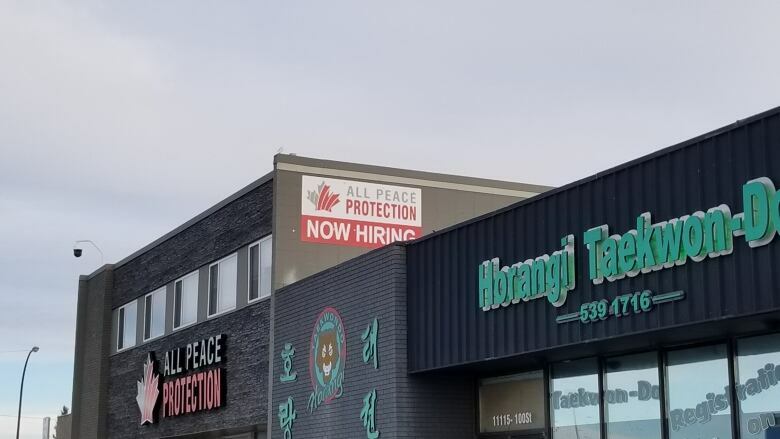 "When you're so far away from a major centre, you really have to find ways to do things yourself," said Dan Wong, board chair for the Grande Prairie and District Chamber of Commerce. "If you don't, you're just not going to keep up with the rest of the world." Glavin said having a fairly young population, with a lot of people willing to take risks, translates into more new businesses. He added that the majority of businesses don't need licences, so there's less red tape in Grande Prairie than in other cities. It's not all good news for Grande Prairie. Odyssey House, an emergency shelter for women and children, has seen a large influx of people trying to access its shelter and participate in its community support program. The increase is likely caused by many factors, but executive director Ebony Rempel said oil industry job losses come up often in conversations with women. "Anecdotally, they're talking about their husbands losing their job and what that looks like, and the strain that puts on their family life," Rempel said. Rob Petrone, president of the Grande Prairie Petroleum Association, said his industry is balancing good fortune with discounted oil prices. The drop in prices has led to lower profit margins for service companies, he said. Reduced wages and layoffs have hit oil workers in Grande Prairie. More than 1,500 people attended a pro-oil industry rally on Dec. 16. "I thought Grande Prairie was invincible to all of this," said Nicole Wapple, who founded Rally4Resources, a group that's been helping communities organize and promote protests. Asked about the rally in Grande Prairie, Premier Rachel Notley said her government was taking steps to address the restricted pipeline capacity. "People are worried and we get that," Notley told CBC News. "That's why we engaged in the curtailment on a short-term basis, almost counter-intuitively designed to save jobs. And then we are moving forward very quickly to invest in rail because we know we have to increase our takeaway capacity to keep people working." Despite pipeline problems and recent layoffs, the industry still manages to suffer from a shortage of skilled workers, Petrone said. Tracey Vavrek, CEO of the Community Foundation of Northwestern Alberta, said community organizations are working to address housing gaps and service needs in the growing city. Thanks to more donations, the foundation increased financial grants to community organizations by 32 per cent this year. "It's busy," said Vavrek, who watches the increased traffic from her office in the city. "There's a lot of activity going on."